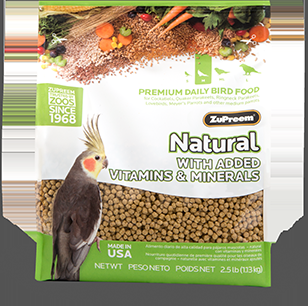 Pepper Lifetime formula may be offered after a bird has completed a dietary program of a High Potency formula for a period of 6 months. 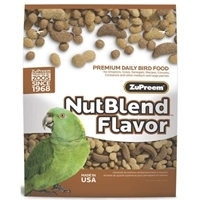 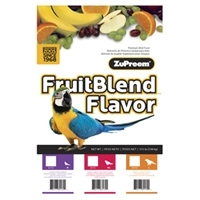 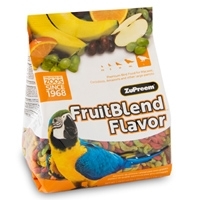 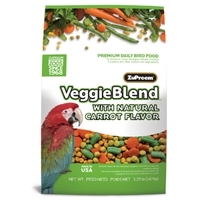 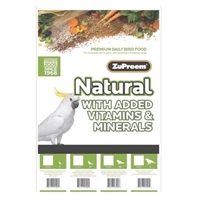 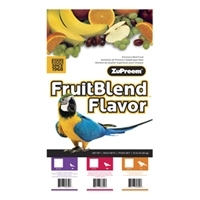 This year-round maintenance formula meets the nutritional requirements for healthy, non-breeding, non-molting birds including pionus, Amazons, cockatoos, macaws and other medium to large parrots. 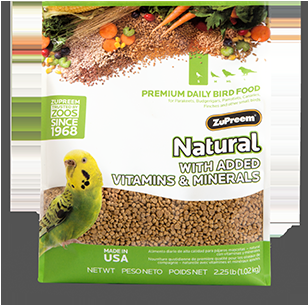 An Adult Lifetime formula may be offered after a bird has completed a dietary program of a High Potency formula for a period of 6 months. 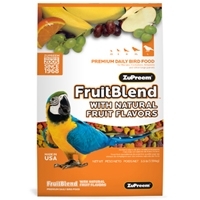 This year-round maintenance formula meets the nutritional requirements for healthy, non-breeding, non-molting birds including pionus, Amazons, cockatoos, macaws and other medium to large parrots. 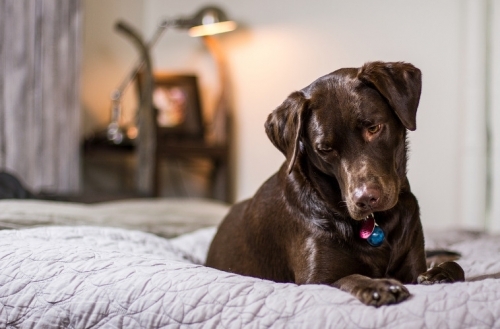 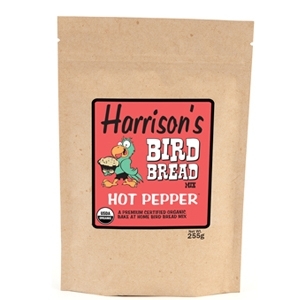 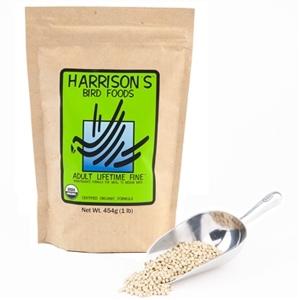 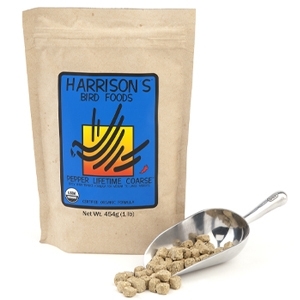 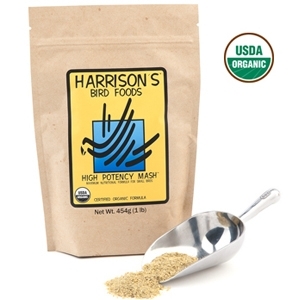 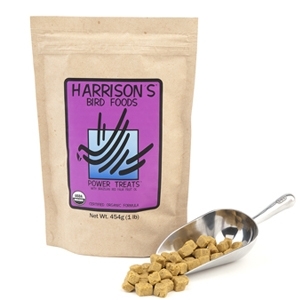 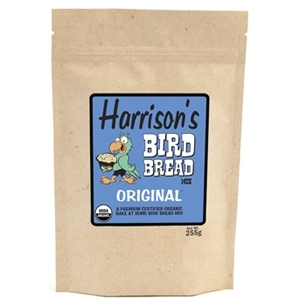 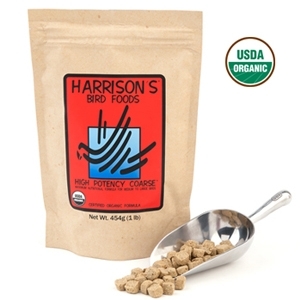 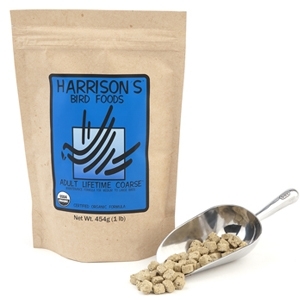 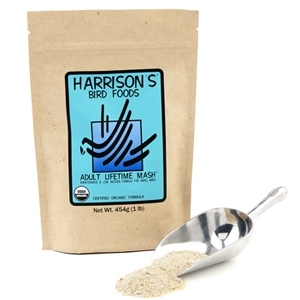 Can be used as the only food source to aid in weaning, changing a bird’s diet from seeds to Harrison’s Bird Foods or as a supplement for birds already fed Harrison’s Bird Foods that need extra energy following an illness. 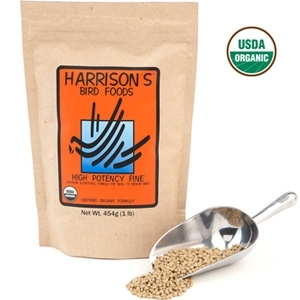 Beneficial to birds with dry flaky skin (beak, nails), balding of the feet, lack of sheen and proper color to feathers. 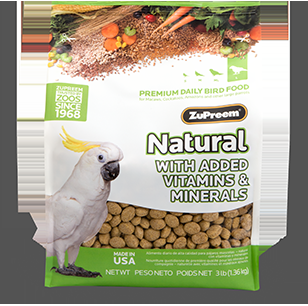 Zupreem Fruitable Large Parrot 35 lb. 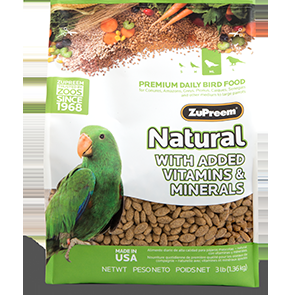 Zupreem Fruitable Large Parrot 17.5 lb.